The Shambhala community is struggling to determine the appropriate response to recent accounts of sexual misconduct on the part of our spiritual leader and lineage holder, Sakyong Mipham Rinpoche. On a personal level, each of us is grappling with reconciling this information with the teachings we love and the teacher we have loved. Some have already chosen to leave the community, some are dedicated to staying, and many are on the fence. While these decisions are very personal and require considerable reflection, the response of one’s local sangha and the greater Shambhala community is critical. As a trauma therapist, I am keenly aware of how the community response is inextricably linked to trauma. When a person’s community (or family) responds in a caring, loving, and decisive manner, followed by action, the effects of trauma are significantly minimized. When a person’s community responds with denial and accusations, the effects are multiplied manyfold. And when a community responds in an in-between way, the effect is also damaging. As a trauma therapist, I am intimately aware of vicarious traumatization, which arises because we have empathy. Others’ pain is our pain. Further, we are experiencing the direct trauma of betrayal. Someone we have venerated, sworn devotion to, has been engaging in behavior directly in contradiction to his teachings. Yes, the Sakyong is human. Perhaps we expected too much. I feel compassion for the suffering he, his wife, and his children are going through. I feel pain for the suffering he must have been living in for decades, both to cause this behavior and to live with it. Yet, hypocrisy is difficult to bear. Hypocrisy is not what we want our lineage known for. Compassion for someone does not mean they get to continue acting in harmful ways, or to ignore their previous actions. At my local sangha’s meeting last week, one woman spoke emotionally about her history of abuse, and how she felt ill sitting in a room with the photographs of Chögyam Trungpa Rinpoche and the Sakyong above the shrine. She implored the community to support her and remove the photographs. A majority of the people in the room were in favor of granting this request. 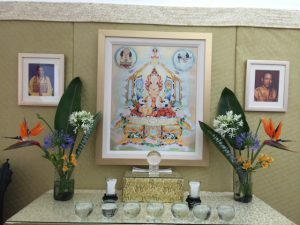 However, a number of key members of the community spoke up, wanting to keep Chögyam Trungpa Rinpoche’s photo above the shrine. This is the compromise we agreed to. After sitting with this for a week, I was not comfortable with it. I am sharing some thoughts here for all Shambhala sanghas contemplating similar decisions. These thoughts also apply to many of our chants, which venerate our lineage, including the Mukpo clan. These chants are also triggering traumatic responses for people in our community. The definition of shrine is “a place regarded as holy because of its associations with a divinity or a sacred person or relic.” Perhaps our shrines should not have any human beings elevated to this level. The teachings are sacred because we can experience their truth, not because we are told to believe in them. 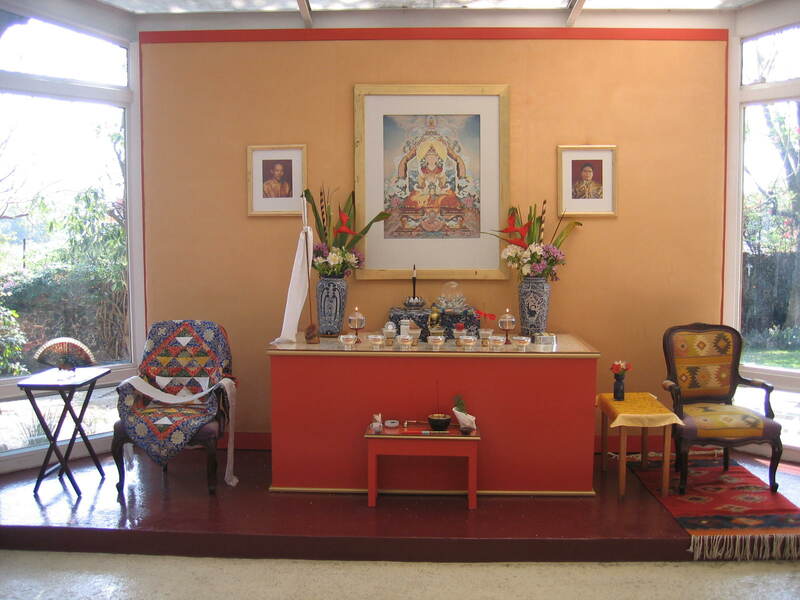 The shrine is meaningful in Shambhala Buddhism because it holds objects that represent core concepts, reminders of compassion, egolessness, and impermanence. The shrine represents our lineage, but this is not a goal in and of itself. The lineage should also represent compassion, egolessness, and impermanence. At this time, unfortunately, part of the lineage is reminding many people of institutionalized abuse of power and of sexual assault. It is reminding people of the specific details described in the Project Sunshine report, of the Vajra Regent’s harmful behaviors, and of Chögyam Trungpa Rinpoche’s sexual behavior. So, if these photos remind some in our community of horrific events, and remind others of the sanity they receive from the teachings, whose needs and interests should prevail? One could argue that either group should be able to apply the teachings to their inner turmoil, their grasping, and their rejecting. I would posit that those reminded of the sanity from the teachings can access these emotions in a direct way while they sit. Peaceful abiding practice is possible for them. Knowing how trauma impacts the limbic system of the brain, I don’t believe people experiencing trauma triggers can easily sit and access peaceful abiding. If I am to engage in symbolic action, right now I would like to stand with the victims of abuse. I would like to see my community take action on the side of the victims. I ask my readers to consider the following points. When traumatic events are of human design, those who bear witness are caught in the conflict between victim and perpetrator. The bystander is forced to take sides. I know of no core Buddhist teaching that says to hold one human being above another. I know of no core Buddhist teaching that says one should choose one dharma teacher above all others. I know of no core Buddhist teaching that says I should hold the concept of a shrine and what it represents above the needs of a suffering human being next to me. I know of no core Buddhist teaching that says I should be attached to the form of certain photos or objects above the suffering of a human next to me. I choose to stand in support of the victims of abuse and those currently suffering in our community from vicarious traumatization and the trauma of betrayal. I choose this, over concept and form. 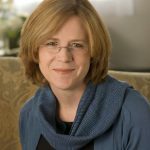 Barbara Heffernan, LCSW, is the founder and owner of Mindful Psychotherapy, LLC, a private psychotherapy practice in Norwalk, CT. Barbara specializes in working with individuals in the areas of trauma, anxiety and life transitions. Barbara utilizes Cognitive-Behavioral Therapy, EMDR, meditation and visualization in her practice. 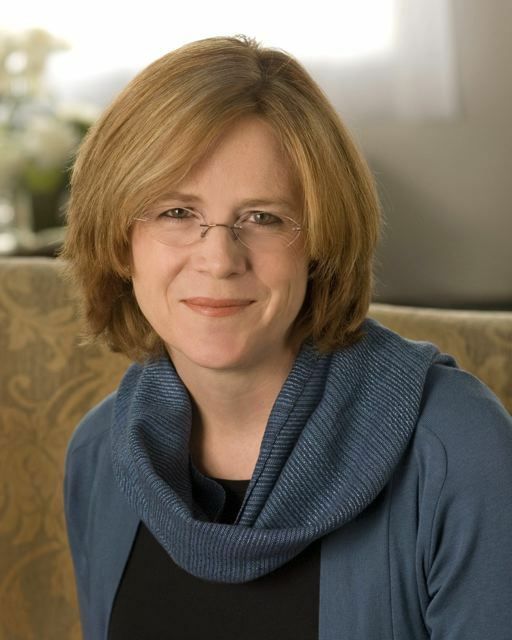 Barbara was the Executive Director of the Domestic Violence Crisis Center in Fairfield County, Connecticut, from 2003-2007. In her first career, Barbara spent sixteen years in investment banking, primarily in mergers and acquisitions for Salomon Brothers and Merrill Lynch. Barbara has a B.A. from Yale University, an MBA from Columbia University and an MSW from Southern Connecticut State University. Barbara is a student in the Tibetan Buddhist tradition called Shambhala. She has been practicing meditation for over twenty-five years. Barbara’s website is www.mindfulpsychotherapyllc.com. She can be reached via email at [email protected]. 1) Herman, Judith, MD. Trauma and Recovery: The aftermath of violence – from domestic abuse to political terror. NY: Basic Books, Perseus Books Group, 1997, p. 6. Thank you very much for this insightfully compassionate article. thank you for sharing this perspective and articulating so clearly the foundational reminder about shrines, trauma suport and i feel your love of the truth. Blessings. As we make decisions about pictures, I would hope that we strive for inclusiveness. Rather than consensus, I propose we decide based on a choice that the largest number can live with. 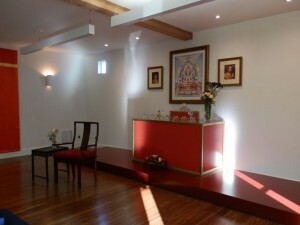 How can we have a shrine where as many people as possible can comfortably practice? I recall one of my first teachers saying that the shrines were introduced to support our practice. Personally, I can easily visualize CTR and SMR without a picture and would much rather not have something that triggers others negatively. Still we need to recommit to stopping sexual harm as well. Taking the pictures down alone isn’t enough. Those commands work during dog walking She seems pretty happy with that. I aspire to the same principles when I’d otherwise leap, bound and cause commotion. Extending to big “us,” (however defined) if our situation has been ever emerging and this is not “the current” situation, how do we “Sit.” “Stay.” “Come.” How do we practice what we’ve learned and/or what is in our face(s)? then waking to sounds of conch and bells. Good morning everyone. This is Earth. I would like to add that the shrine itself is a representative of the lineage. The cyrstal ball in a crystal lotus, the dharma and the sangha as represented by a text and the outer offerings of water. These symbols are the shrine, the sacred space, that remind us of the connection of ourselves and each other with and as the lineage of basic goodness and awake mind which is not separate from ourselves. Brave statements. I am a therapist as well, and at our center we have not had victims make such requests to my knowledge, and as I read your writing, I felt what many of us here do; a sense of loyalty to the teacher/teachings and pangs of distress at the idea of removing the pictures. Yet you are so right in the implied need to care for the victims, since their trauma can impair their ability to reach the same states and realizations as those who are less affected and therefore more devoted to having the pictures up. Our mandala needs to be more trauma-informed and Kalapa council and other representatives have pledged to learn more about this. I hope that those in leadership read this and other information educating them on what the trauma survivor deals with. Your article also illuminates a really important aspect of Shambhala: that the local people, centers, and direct contact of the enlightened communities we are creating are so much more important to so many than loyalty or devotion to the core teachings/teachers. Of course the more we are involved, the more we realized how the core teachings feed and create these very centers, but the human contact at the perimeter of the wheel/mandala is so vital. Thanks! Thank you for your thoughtful comments Barbara. This is a dilemma for many and it is clear that we are at a crossroads as how we respond is crucial for all practitioners, and I believe for the future of Shambhala. 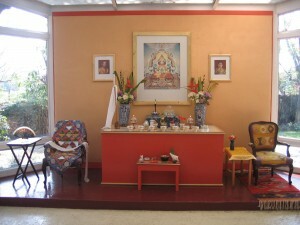 On my personal shrine I do have pictures of Chögyam Trungpa Rinpoche and the Sakyong. I am eternally grateful for the teachings I have received even amidst the pain and sorrow I feel and the devastating pain others suffer because of the abuse and feelings of betrayal. Yet having a picture on a public shrine is making a statement on the part of the community and I agree with you. I share your concerns about the impact on others and also about what it conveys about what we value and how we relate with power. There is the pain of trauma, then vicarious traumatization as we empathize with that. Yet the most difficult may be the secondary traumatization that victims experience when they are not supported. Because this trauma is in the present moment, in the here and now. Maintaining pictures on the shrine mean that we become complicit in maintaining ongoing trauma. We too then are part of the problem, in not responding with care and attention, in covering up, in silencing. Our response matters. Well said. Time to return to basics. I wish people wouldn’t lump the Vidyadhara, the Venerable Chogyam Trungpa Rinpoche onto the Sakyong’s abuses. Rinpoche caused no harm of the nature of the Sakyong, ever. He never turned his back on his students. He loved his students, he trusted his students to give us the teachings. He has a 99.99999% success rate. Don’t blame the actions of the Sakyong on his father. The Sakyong has created this problem over the last 30 years after his father’s death. His father brought us the teachings here in the west in the purest forms as if we were his closest students and we ALL were!. Not just some of us. I was a student of Trungpa Rinpoche in the 70s and left due to the unacceptable behavior (to put it mildly) of Rinpoche and Osel Tendzin. I chose not to rejoin Shambala due to their continued embracing of the “royal court.” I mean, come on already, haven’t we learned anything from the past? When we venerate an individual as “royalty” we make it all too easy to sanction or ignore behaviors we would not tolerate from us ordinary folks. I was encouraged by this post which seems to me to be the common sense approach to a difficult problem. Why make others suffer and for what? On the other hand, it is deeply troubling and the pessimist in me would suspect that the advice of the expert, in this case a trauma expert, will not be followed. In a better world the dictate that the pictures be removed from the shrine should have come directly from the current Sakyong, relieving the individual centers of having to go through the heart rending process of deciding for themselves what is right and what should be done. These pictures for many have become an obstacle to practice and may well remain that way for the rest of many of our lives. If any in the community of Shambhala has the strength to see to a new vision, this is a very very simple and reasonable first step. A first step, one might add, of many.